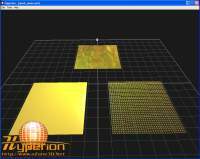 Shows how to setup a very simple scene and to display the reference grid. Shows how to set the vertical synchronisation (vsync) and how to display the frame rate of the graphic controller (fps). 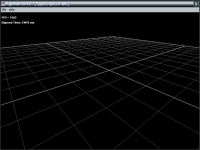 This is the classic Hello World sample vs real time 3D! 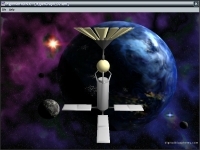 Shows how to add light and how to load a 3D model created in a 3D application such as 3D studio. 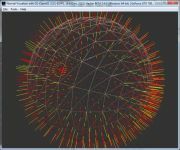 This code sample shows how to use an omnidirectional light (OMNI) and how to perform a basic animation (spin rotation) of a 3D model. 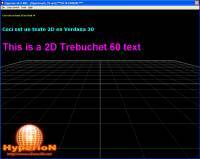 Shows how to display a simple text and how to set its position in the 3D scene. Shows how to use True Type Fonts (ttf). The code sample shows how to change the text color by setting the rgb parameters. Shows how to use the mesh PLANE (wireframe, lit with and without texture). 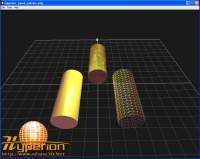 Shows how to use the mesh CYLINDER (wireframe, lit with and without texture). 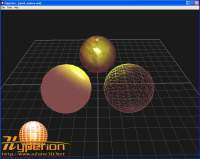 Shows how to use the mesh SPHERE (wireframe, lit with and without texture). 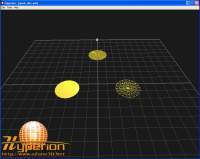 Shows how to use the mesh DISC (wireframe, lit with and without texture). 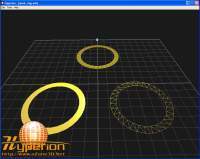 Shows how to use the mesh RING (wireframe, lit with and without texture). 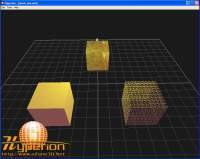 Shows how to use the mesh BOX (wireframe, lit with and without texture). 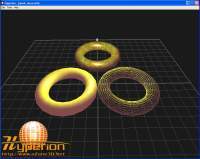 Shows how to use the mesh TORUS (wireframe, lit with and without texture). Page generated in 0.0029890537261963 seconds.